Our mental health is influenced by many factors including life experiences, workplace or other environments, and the social and economic conditions that shape our lives. These social and economic conditions are called the social determinants of health and are some of the most important factors that impact on mental and physical health. Research shows that the social determinants can be more important than health care or lifestyle choices in influencing health (Mikkonen and Raphael 2010). Learn more about mental health promotion and social determinants of health. 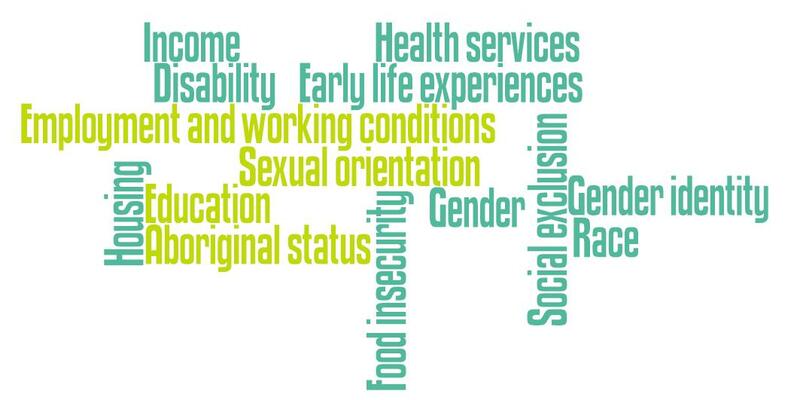 Different communities or populations have different experiences with the social determinants of mental health. The impact of these differences can lead to health inequities, where entire communities have poorer health or mental health than the general population. For Aboriginal populations in particular, a 2016 Statistics Canada report again confirmed that social determinants of health, specifically food security and housing, are significant factors for the mental health of First Nations living off-reserve. To learn more about health equity, visit the Equity page.